BrahMos Aerospace on 12th June 2011, celebrated 10 glorious years of first supersonic launch. Brahmand Photo. Lighting of the Lamp ceremony. Brahmand Photo. BrahMos Welcome Song by "Living Voice" North Eastern Hills of India. Brahmand Photo. 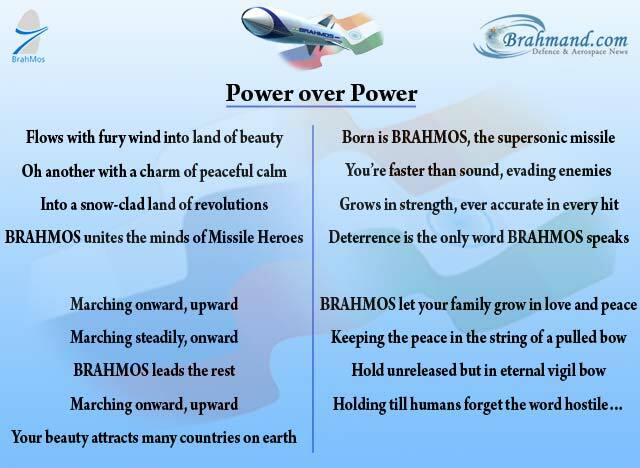 Power over Power: The theme song for BRAHMOS Missile. Brahmand Photo. 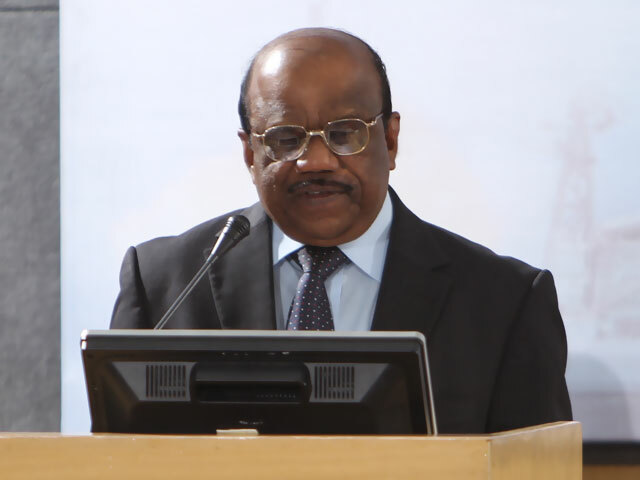 Dr. A Sivathanu Pillai addressing during the inaugural ceremony at BrahMos Headquarters on 12th June, 2011. Brahmand Photo. Dr. A Sivathanu Pillai giving welcome address during the "Conference on Joint Ventures & Technology Collaborations In Defence- Towards Realising World Class Systems". Brahmand Photo. 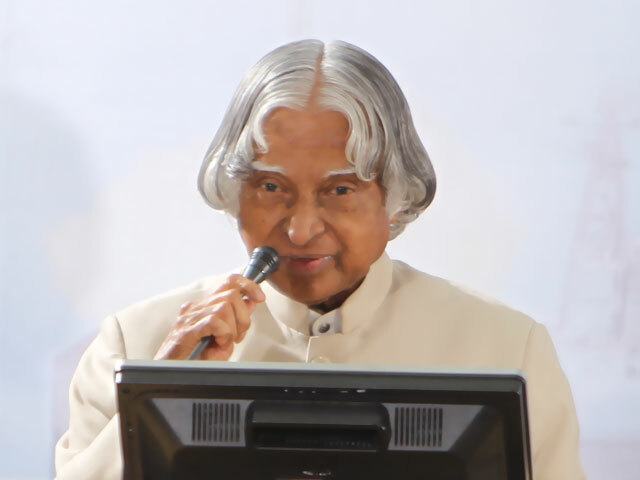 Former President of India, Dr. APJ Abdul Kalam congratulating BrahMos for such a successful joint venture and also sharing his experiences on "What we learnt from BrahMos". Brahmand Photo. Shri Shekhar Dutt, Governor of Chhattisgarh, giving special address on 'Conference on Joint Ventures and Technology Collaboration in Defence'. Brahmand Photo. 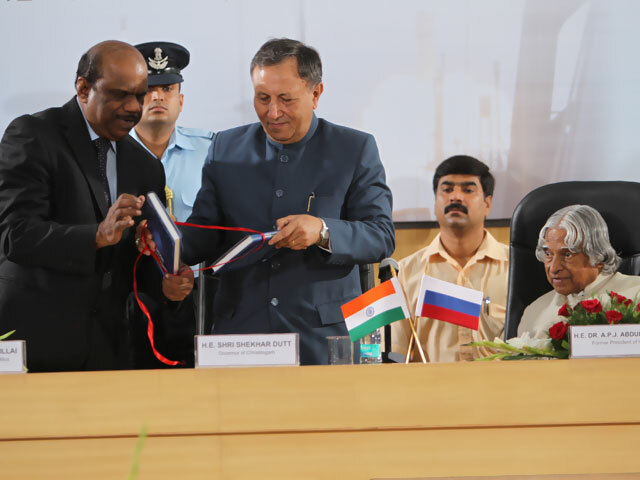 During the 10th anniversary of BRAHMOS 1st launch, BrahMos Aerospace organised a "Conference on Joint Ventures & Technology Collaborations In Defence- Towards Realising World Class Systems." Brahmand Photo. Dr. A Sivathanu Pillai, CEO & MD of BrahMos Aerospace and Prof. K. Chattopadhyay of IISc signing the MoU between BrahMos & IISc for setting up the Centre of Excellence for High Speed Aerodynamics. Brahmand Photo. Release of Book- "Revolution In Leadership". Brahmand Photo. Dr. A Sivathanu Pillai making concluding remarks, summing up the proceedings of the "Conference on Joint Ventures & Technology Collaborations In Defence- Towards Realising World Class Systems." Brahmand Photo. RAdm (Retd.) 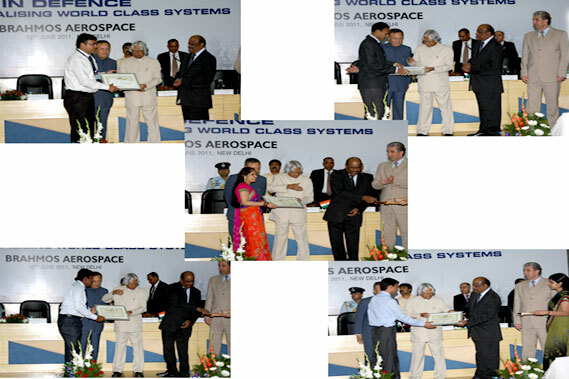 S. Mohapatra, VSM, ED (Production), BrahMos Hyderabad receives "BrahMos Excellence Award" 2011. Brahmand Photo. Mr. VV Lapkovsky, Director of Department (Production), Engineer NPOM receives "BrahMos Excellence Award" 2011. Brahmand Photo. BrahMos Aerospace on 12th June, 2011 felicitated five of its young and dynamic scientists with 'BrahMos Young Scientist Award' 2011. Brahmand Photo. Rishabh Verma, winner of the Innovative Ideas on Science & Technology competition (organised by brahmand.com) being felicitated by Dr. APJ Abdul Kalam and Dr. AS Pillai, CEO & MD of BrahMos Aerospace. Brahmand Photo. Former President of India, Dr. APJ Abdul Kalam and Dr. AS Pillai, CEO & MD of BrahMos Aerospace interacting with media persons. Brahmand Photo.